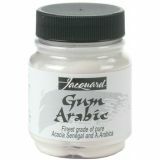 Jacquard Gum Arabic - JACQUARD-Finest grade of pure Acacia Senegal and A. Arabica. Use as a binder medium, emulsifier, and film former. 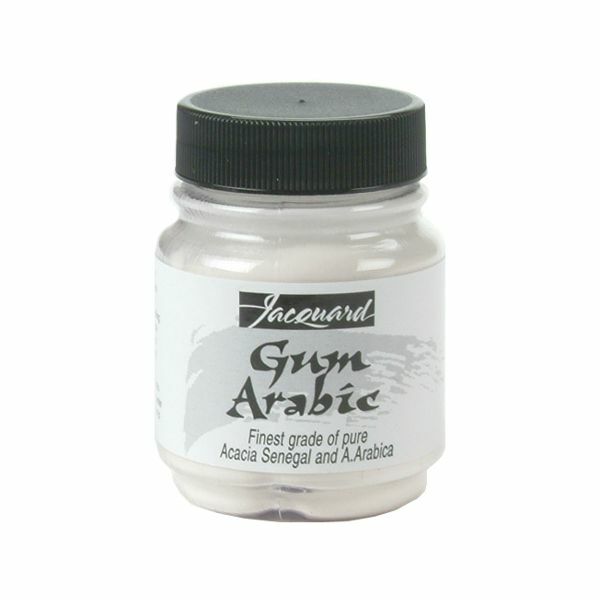 Gum Arabic will produce a glossy, easy brushing or stamping solution. It will gradually increase tack as it dries. Easily mixed and cleaned up with water. A solution of water and gum may be prepared and stored for convenience. Contains 1 ounce. Non-toxic. Conforms to ASTM D 4236.